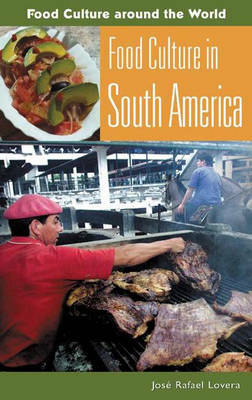 This volume tells the story of the South Americans and their history through a survey of their food culture. Food in the various countries differs in some ways because of cultural heritage, cooking techniques, and geography, here divided into four zones. The traditions of the primary groups-Indians, Europeans, and Africans-and their five centuries of mixing have still resulted in a stable food culture. The foods of the Indians before European contact still play an important role, along with other foods brought by successive immigrant groups. Europeans tried to establish their staples, wheat and wine, with little success. Many dishes, cooking methods, and food habits have survived with little modification since time immemorial. Students and other readers will learn much about the South American foodways in daily life today, with special attention paid to historical perspective and any rural and urban differences. For example, in all the major cultural groups, food preparation and cooking have always been women's work, with the exception of the meat roast (asado) by llaneros and gauchos. The rise of the cooking profession is discussed as well. A fascinating look at the daily meal schedule includes insight in to how the European conquerors imposed their eating habits and encouraged overeating, with the abundance found in the New World. Modern life is shown to affect where people eat, as buying meals, often from street vendors, during the workday has become more of a necessity. The survey includes a discussion of special occasions, including agricultural celebrations and Catholic feasts with indigenous elements. The overview is completed by a chapter on diet and health, covering such topics as botanical knowledge and science and an assessment of the nutritional value of the South American staples. Classic recipes from many of the countries and illustrations complement the narrative.